Hey Everyone, today I wasn’t sure what to focus my post on. Back at the beginning of the year I decided to give my room a little make-over. 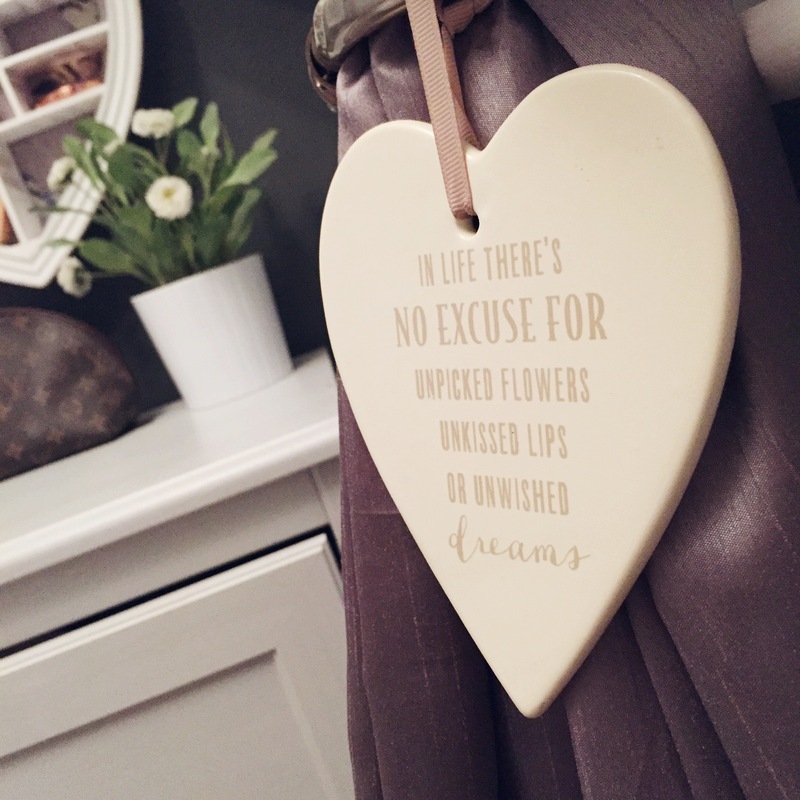 So I thought it would be nice to share with you my favourite little pieces from my bedroom, also some different ways in which you can get your makeup section a bit more tidier. When deciding to design my room I wanted it to look quite plush and fancy. I went for a dark grey wall with some glitter that I put into the paint so it shimmers in the light and then a lighter grey to contrast on the other walls but to also make the room a lot lighter. Firstly I will start with the main piece above my bed. 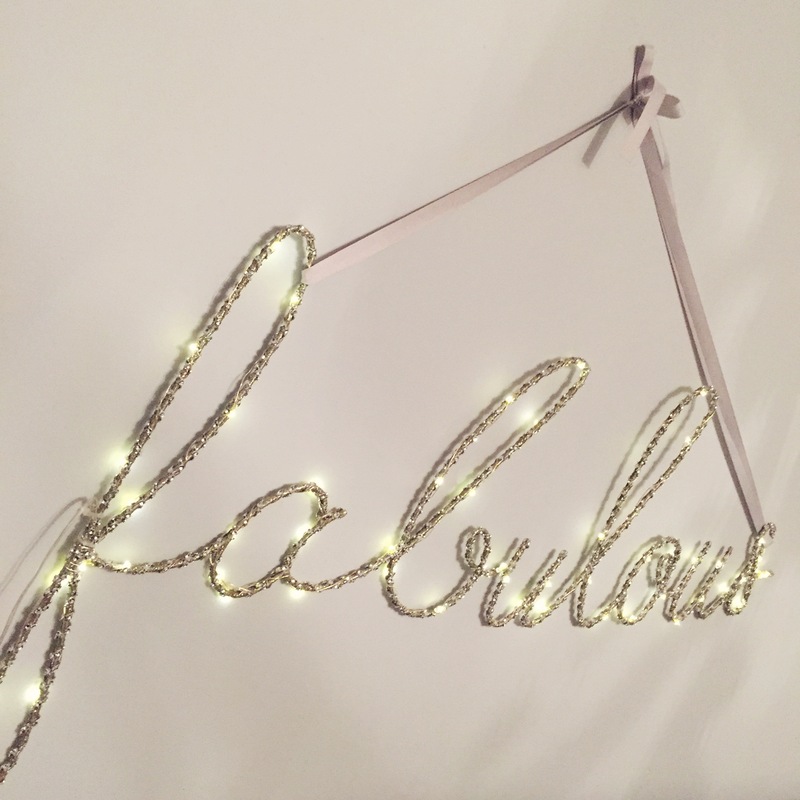 My ‘Fabulous’ sign, I am IN LOVE with this light up sign. It just finishes off the room. It works on battery and I don’t have to change them very often. It contrasts nicely to my grey walls and it lovely to have on when watching a film and chilling in bed. I bought this shelf a while after I had finished decorating my room I just thought it would add a nice touch to fill the space on the wall. 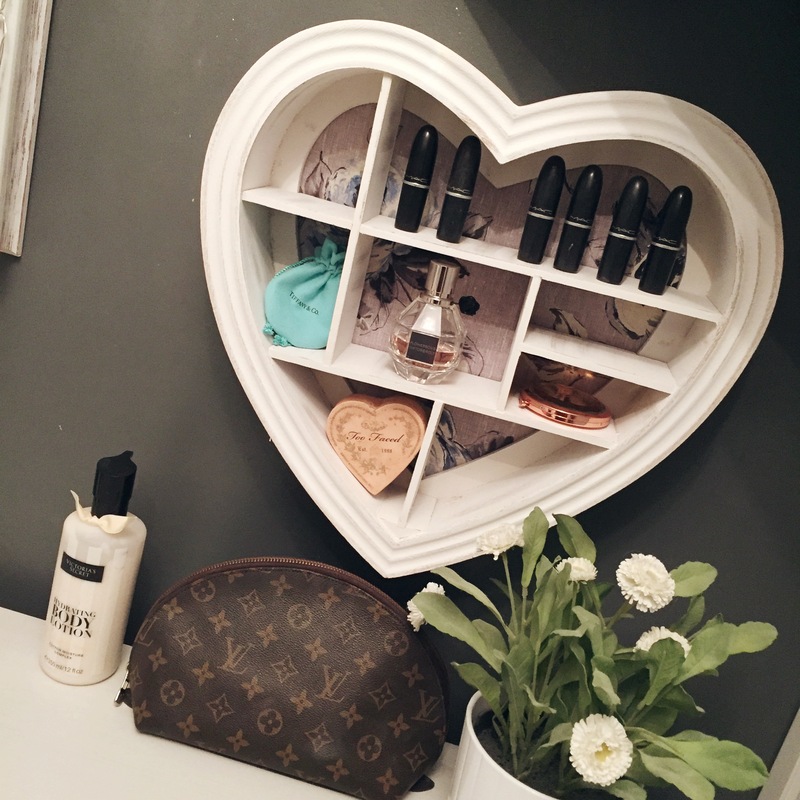 Just a place to put some of my lipsticks, jewellery and perfume. I can’t fit much in there but it does the job of looking nice. Also the Victoria Secret cream on the left is the nicest smelling one there is I am certain. 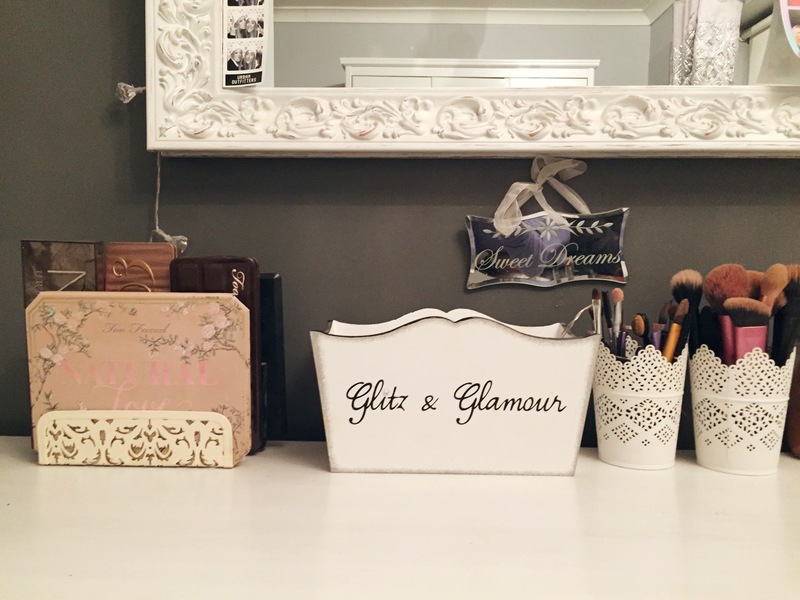 This is where I keep my makeup tidy just under my main mirror. I have two white pretty candle holders that I use to hold my brushes in. My ‘Glitz and Glamour’ pot where I keep my eye contacts and some of my concealers and mascaras. I also use a letter holder to keep all of my eyeshadow palettes standing. I saw this idea online and thought it was a great way to be able to easily see what palettes you have this particular letter holder is from Dunelm. I love having it all nice and neat, so I recently made a draw with separate boxes to separate my makeup into sections making it quicker to find in the mornings. 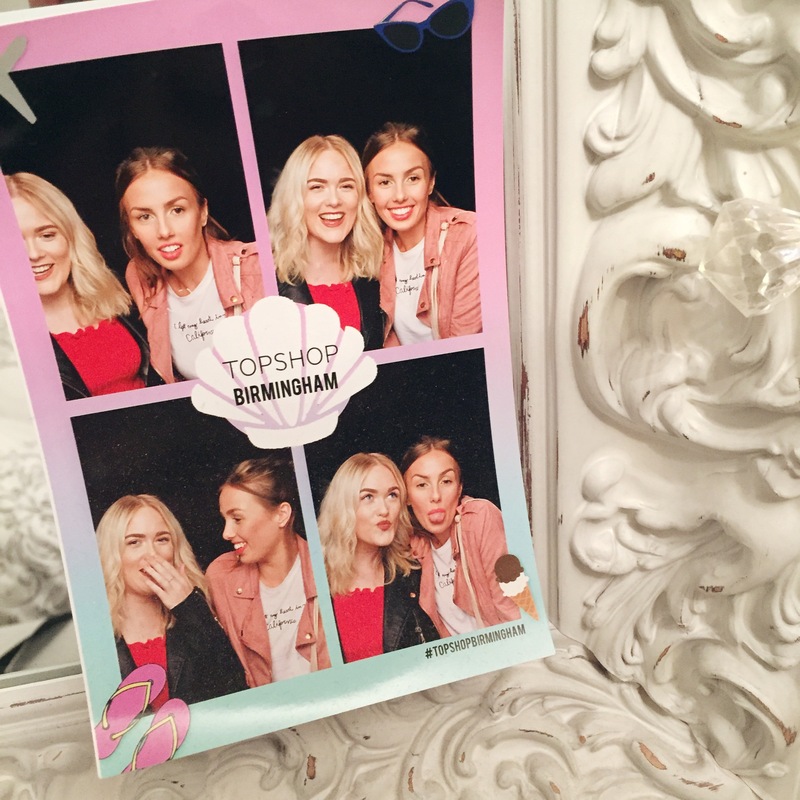 I think it’s important to have little photos of you and your mates in your room I have plenty more I am just not putting them on this post. I love having photos as when I am doing my makeup I look at them and this one just makes me laugh every time. Liv clearly was not ready for that first shot. Every year my Nan will buy me a little hanging sign with a quote on to put in my room. I have this hanging from my curtain rail. It looks very nice in my room and complements the colours nicely also it is such a true quote. I love having a room full of little quotes to read, because I think it makes it so much more homelier. It is certain that when I get my own house there will be plenty of these. I don’t actually think these hearts were made to put your jewellery in, but thats why I use them for. I just have them on my windowsill just to make it look prettier and fuller. They are good because they keep everything together but at the same time you can still see all the stuff that you have. I think my mum got these as a present for Christmas last year but she gave them to me as she didn’t know what to use them for. Bonus! 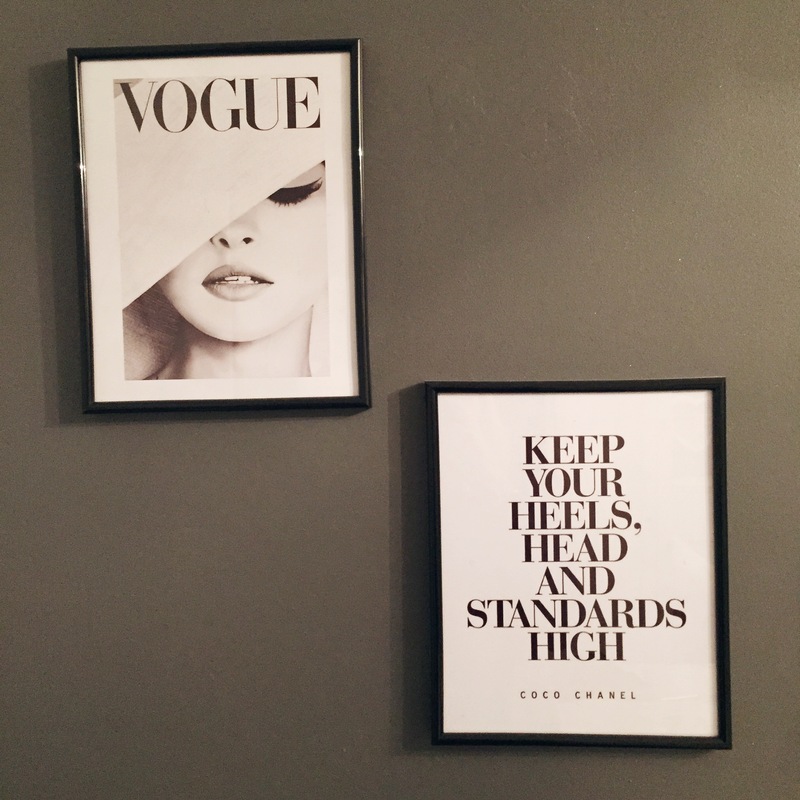 I bought these pictures online, for about £5 each and then bought the frames separately from Dunelm for just £2 each. I needed something to fit the space on the wall as it looked quite bare. 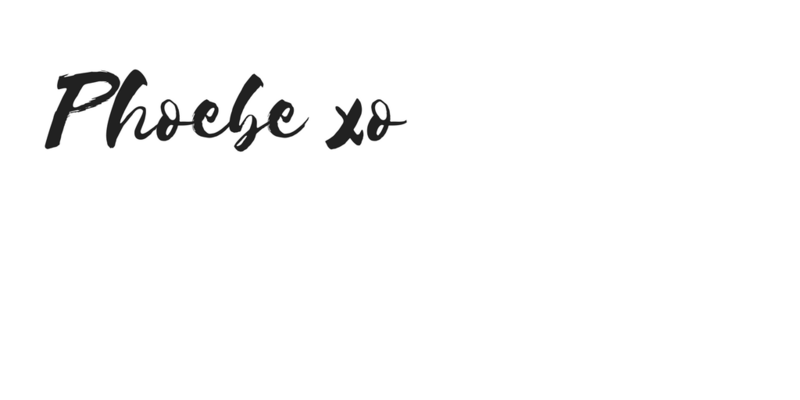 I wanted them to look classy though, and I really love the quote by Coco Chanel! I believe that all girls should live by this quote. That’s it for this post, but I just thought I would make a post about little parts of my room that I love as I am finally happy with it and feel like it is complete. Let me know if you have any interesting ideas on how you store your makeup, I would love to hear them. 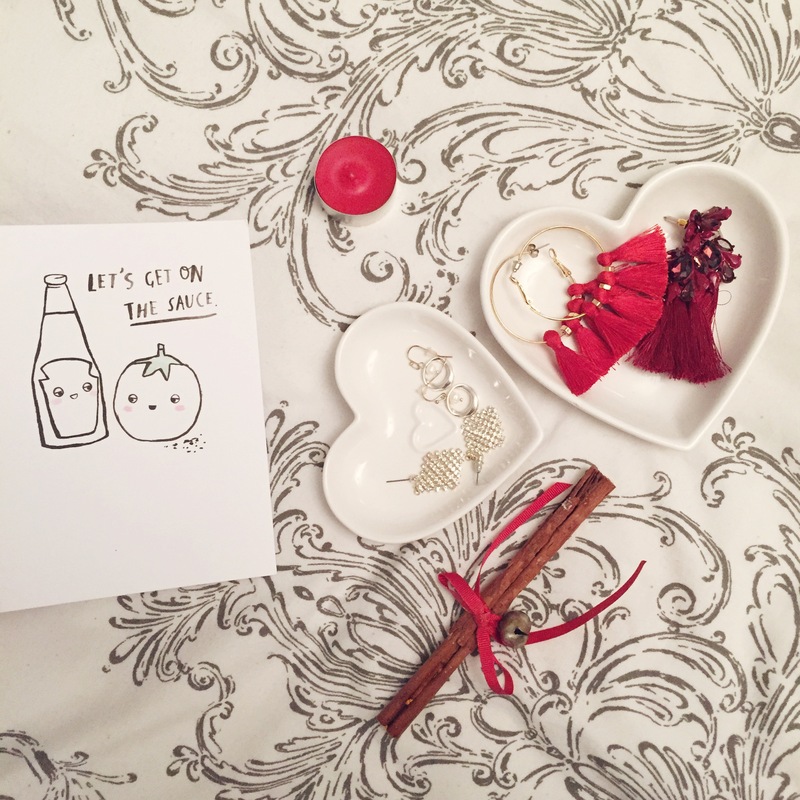 A look into my flatlays. Previous Post 10 Things I Aim to do November 2017! Next Post 10 Things That Always Put Me In a Good Mood. I just love how you have your MAC lipsticks on display like that. That is awesome.